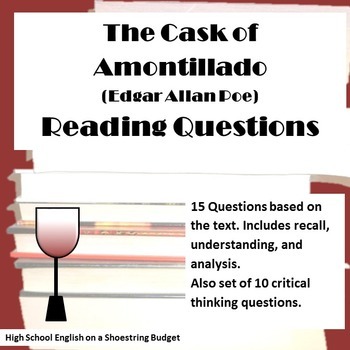 Students will answer 15 questions based on the text "The Cask of Amontillado." Questions are in order as they appear in the text and include recall, understanding, analysis and inference. 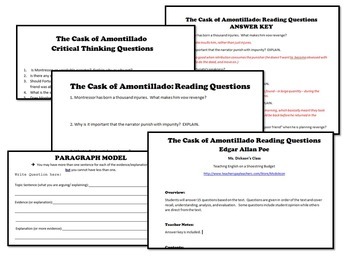 10 Critical Thinking questions included with optional paragraph model and short grading rubric. This file is a single PDF. This item is also included in Cask of Amontillado Activity Bundle.